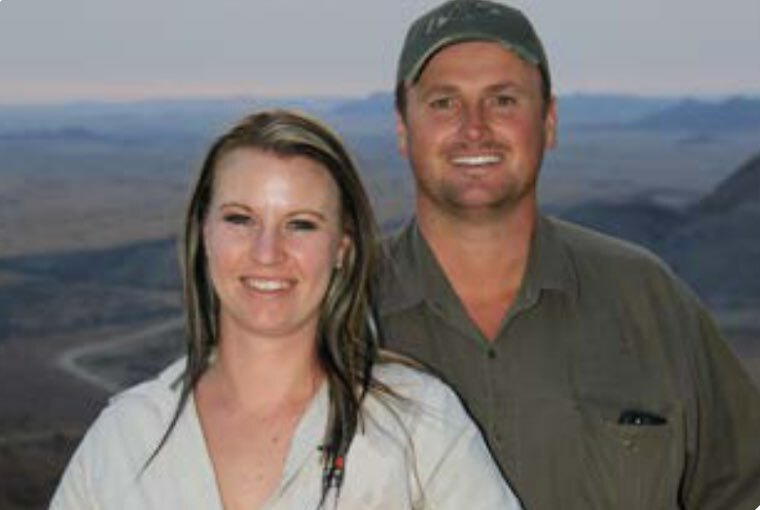 Andries and Heidi du Plessis are a married couple who have been with DE KLERK SAFARIS since 2005. Andries is responsible for the day to day running of the ranches, taking hunters out hunting, doing photographic safaris and with his calm and relaxing nature, this will ensure that even first time hunters will feel at ease. Andries has a very fine sense of humor and his jokes and pranks will make sure there is plenty of laughter around the camp fire. Andries is a specialist when it comes to the hunting of small predators like caracal (lynx), brown hyena, jackal, bat eared fox and African wild cat. Heidi is Marie’s right hand person and she takes care of the lodges, catering, administration, permits and all the camp staff. She is very meticulous lady, a real hard worker and a real bonus to DE KLERK SAFARIS. Christo van Deventer has hunted for DE KLERK SAFARIS before on a freelance basis. 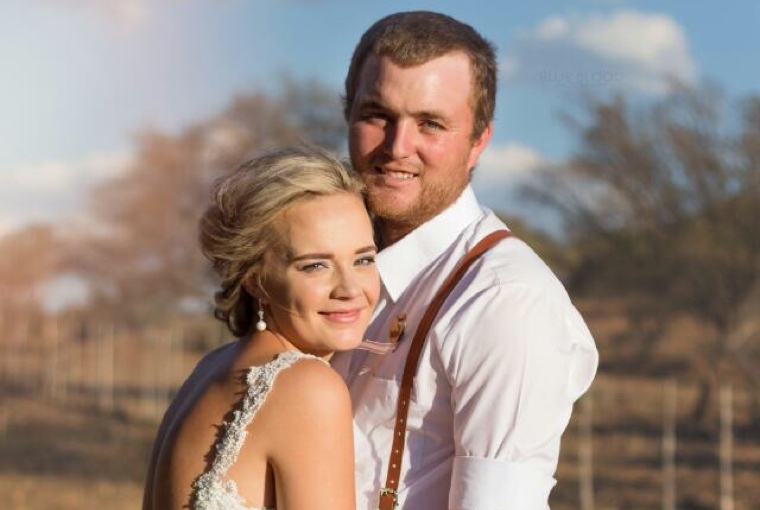 Christo and his lovely wife Minrie joined the DE KLERK SAFARIS team on a fulltime basis in 2013. Christo has extensive experience with dangerous game and will get his clients the most sought after trophies in the salt. With his knowledge on ballistics, reloading, rifles, bows, arrows, hunting, fishing, trophy judgement and handling, client relations and shooting ability he is a big asset to DE KLERK SAFARIS. 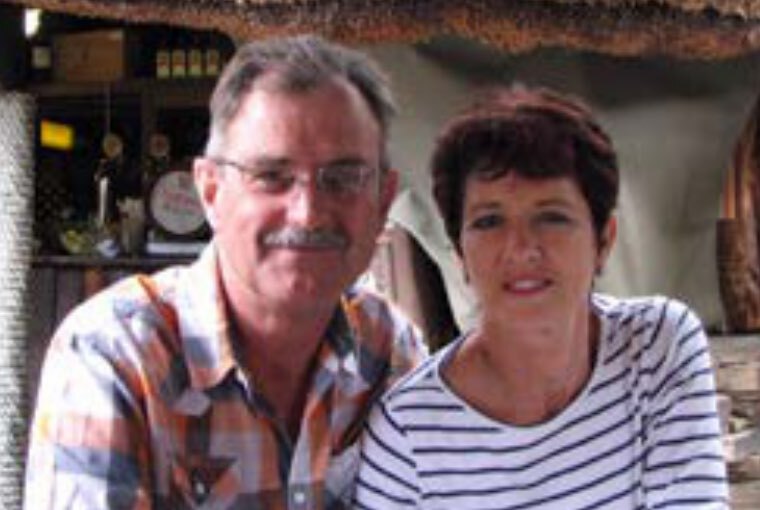 Leonard and Esta Twigge are a wonderful couple who take care of DE KLERK SAFARIS photographic tours. Their general knowledge of Southern Africa and Leonards’s safe driving record and Esta’s gourmet cooking skills will ensure every photo safari will be a highlight to remember. 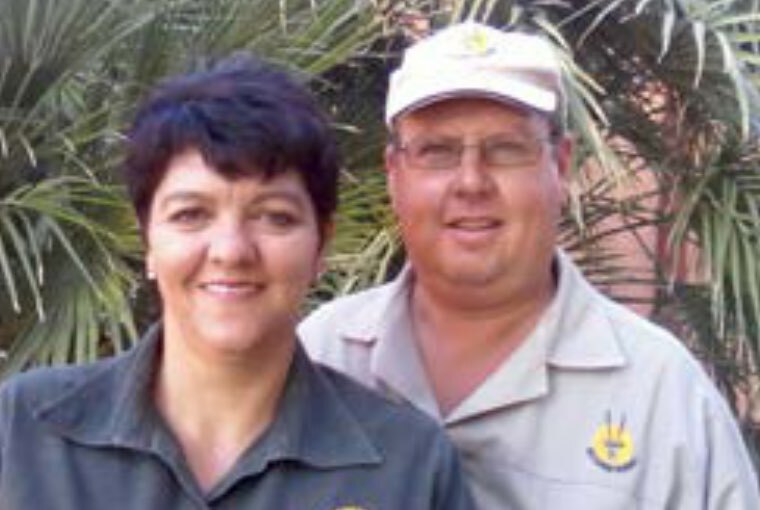 Hoffman and Christell are managing Robert Lodge for DE KLERK SAFARIS. Hoffman is a licensed Professional Hunter as well as a registered Field Guide. With his passion for hunting, management of wildlife and his friendly way with clients he has proven himself through and through. Christel is responsible for the administration, catering, camp staff and her good food keeps clients asking for more. DE KLERK SAFARIS employ 17 other people as trackers, skinners, drivers, washing and cleaning ladies, etc. All of the staff lives on the ranch in nice brick houses with running water and electricity. 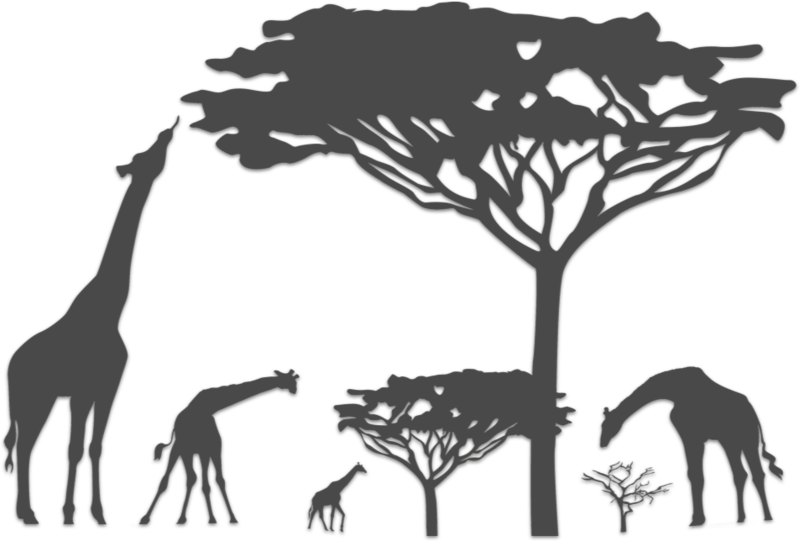 All the staff is very well paid and very happy to work for DE KLERK SAFARIS and will ensure that every client will be well taken care of.